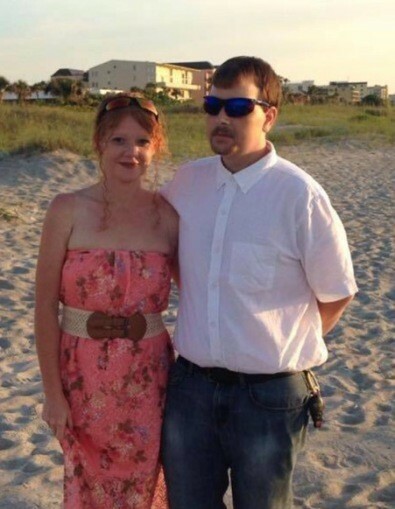 Amy Dawn Jones, age 38, of Virgie, KY, widow of Kenny Joe Jones, passed away on Monday, February 11, 2019 in the U.K. Markey Cancer Center, Lexington, KY. She was born May 28, 1980 in Martin, KY, a daughter of Ronnie Dean Tackett and the late Joyce Ann Hoover Tackett. She was a homemaker and a student. Amy is survived by her father and two sons: Kenton Tyler and Kodon Josiah Jones, Virgie, KY, one sister; Angie Marie (Wade) Slone, Ravenna, KY. Brothers and sisters in law; Brian and Diane Isaac, Kristie and Cyrus Hess, Billy and Jessia Bentley, April and Danny Meadows, mother in law; Janice Wright and a host of aunts, uncles, nieces and nephews. In addition to her husband and mother, she was preceded in death by her brother: Gary Dean Tackett. Funeral service will be conducted at 12:00 noon on Sunday, February 17, at the little Nancy Old Regular Baptist Church, Hi Hat, KY, with the Old Regular Baptist Ministers officiating. Burial will follow in the Wright Family Cemetery, Wheelwright, KY. Visitation is Friday after 4:00 PM and all day Saturday at the church under the kind and professional care of Hall Funeral Home.